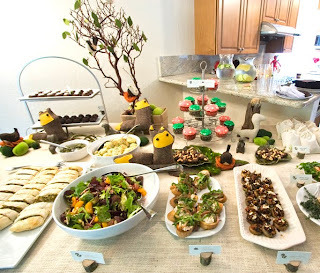 A few of us threw a woodland critters baby shower for Traci this past Saturday. Everything turned out great and we all had a blast! I had tons of fun designing the invites and other pieces to go with the theme. 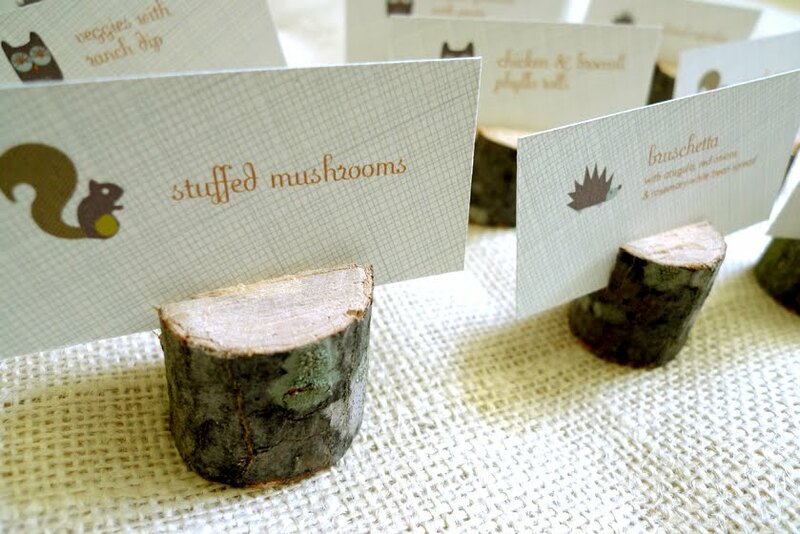 I asked Irving to chop up some branches from our backyard to make stands for the food labels. 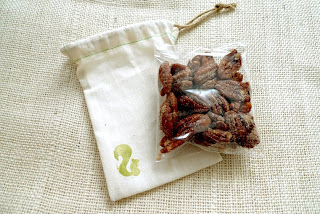 For the candied pecan favors, I sewed muslin drawstring pouches and stamped them with a squirrel stamp I carved out of an eraser. We also bought a manzanita branch and stuck some felt leaves onto it for the main spread. 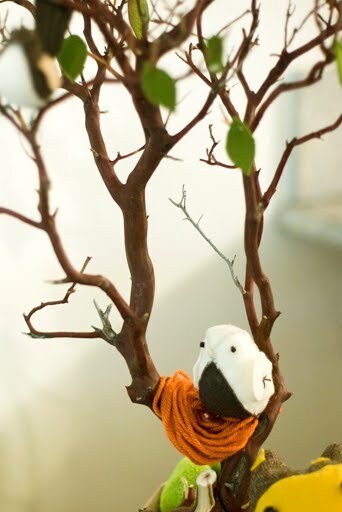 Sumiko, Shelley, and Rita sewed little birds and foxes, and Rita and some other ladies made some amazing food. Susan knitted these awesome props for the photobooth (yup, we're into photobooths!). This is really lovely! 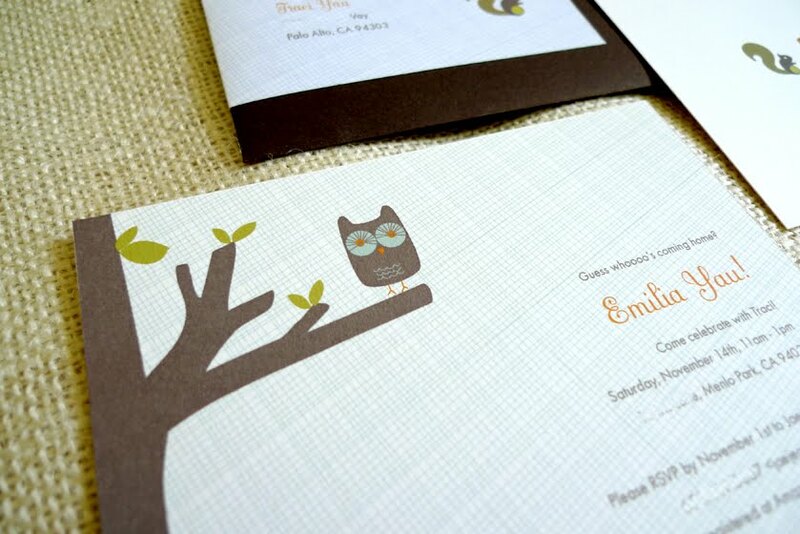 I came across this post searching for bird-themed baby showers and now I want to switch to a woodland theme. your so creative! I love the theme!! all the details are great.. Wendy!!! Thank you again...so so so much. It was amazing and above and beyond what I expected. I LOVED every single little detail. The only bummer is that those 3 hours went by way too fast! 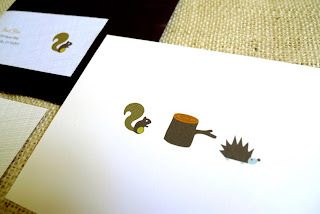 The tree and the birds are going in her room, and the little stumps are going to hold artwork! Thanks for putting so much time and energy into this....LOVE! both of the showers are amazing! what fun. WOW WOW WOW!!! Cutest little spread ever!!! LOVE those sweet little critters! hi- can you tell me where you got the little wooden people & blocks you got to paint? what a wonderful idea!!! I'm excited for your next post, because the long absence hopefully means....baby! please let us know how everything went and is going with your baby!!!! hope everyhting is allright and that you had a happy christmas! This is all so well thought out. 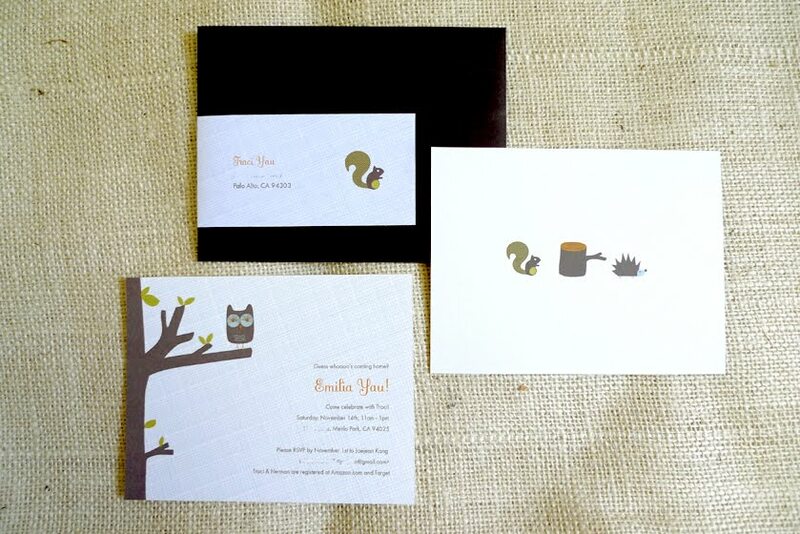 I love the little branch card stands. I may have to make some of my own. I really love your Woodland baby shower! You guys did a wonderful job! I have linked post to my blog. Great woodland themed shower! Where can I find the clip art for the little food placards? I would love them for my sister in laws shower.